‘Australian Feminist’ might not be the first term that comes to mind when we think about renowned Australian artist and author, May Gibbs. 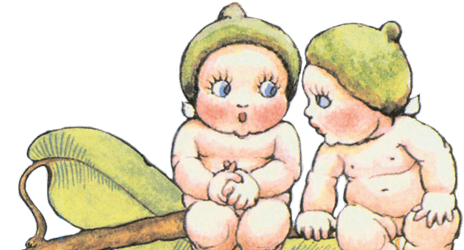 Her name conjures up images of the iconic bush fairies, Snugglepot and Cuddlepie, the gumnut babies. Her gorgeously illustrated, imaginative stories have enthralled parents and children alike for decades. But May Gibbs was a rare woman; a determined, socially conscious woman who chose a career and pursued it at a time when few women worked by choice. 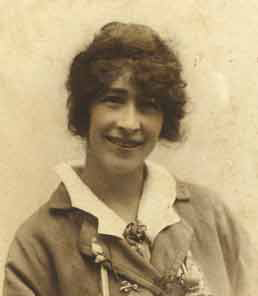 May Gibbs studied art in Australia and England as a young woman before she began contributing work to various publications. Notably, early on in her professional career, Gibbs contributed feminist cartoons to a newspaper called The Common Cause, first published in 1909. It was a suffragette publication billed as “the organ of the women’s movement for reform”. Around this time, May Gibbs also met Rene Eames, an activist and suffragette, who was to become her lifelong friend and supporter. They lived together for a time and Eames assisted Gibbs in her merchandising endeavours. Gibbs didn’t restrict herself to drawings and stories to delight children. May was widely regarded as Australia’s first successful female political cartoonist and caricaturist. For example, she once illustrated an article written by Agnes Robertson, called ‘Women’s Position in the State’ by ‘One of Them’. Robertson went on to become a senator and the first woman to represent the Country Party in Federal Parliament. By the 1920’s, Gibbs was already well known for her children’s books. Not content to rest on her laurels, she continued to pursue a career in the newspapers. She was soon well known for her comic strips and weekly columns. Much of her work was syndicated around the country and even as far as New Zealand. In 1924, her comic strip “Bib and Bub” made its debut. It went on to become Australia’s longest-running comic strip, continuing until 1967. Gibbs continued to work on comics, cartoons, merchandise and books throughout her life. She finally retired at the age of 90, a scant two years before passing away. Gibbs, with great foresight, used the fruits of her lifetime of labours to benefit those in need after her own death. She bequeathed the copyright from the designs of her bush fairies to the charities that we know today as Northcott and Cerebral Palsy Alliance. Her legacy has enabled these charities to help many children living with disabilities and their families and continues to do so to this day. It becomes clear, when reflecting on May Gibb’s life, that she was an early Australian feminist, despite not consciously applying the term to herself. Gibbs was a pioneer. She embodied the “New Woman” feminist ideal of the late 19th century that endured well into the 20th century. Even her legacy can be viewed through the lens of modern feminism and intersectionality; she chose to empower advocacy groups who continue to support and empower disabled children and adults. She was an educated, independent, career-minded woman whose many successes pushed the boundaries in a male-dominated industry.